Emily Gantz McKay is an independent consultant who, until December 2011, was President/CEO of Mosaica: The Center for Nonprofit Development and Pluralism, a Washington, DC-based multicultural nonprofit consulting entity she founded in 1994 to provide tools to nonprofits to build just, inclusive, and thriving communities and societies. Mosaica’s special commitment is to strengthen and support entities that serve and represent populations whose voices are least likely to be heard when policies are made and resources allocated. Mosaica uses a multicultural team model and helps prepare individuals and nonprofits to work successfully in multicultural societies. 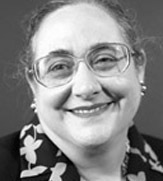 Emily has spent her entire career in work related to civil rights and social justice, domestically and internationally. Emily’s special expertise is in the management and governance of nonprofit organizations. She has more than 40 years of experience assisting nonprofit Boards, staff, and volunteers as well as philanthropic organizations and public agencies that fund nonprofits, and special experience in working with communities of color and immigrants. She provides organizational development training, facilitation, and consultation in such areas as start-up, strategic planning, governance, program design, resource development, restructuring, management, team building, evaluation, public policy and advocacy, and coalition building. She has assisted diverse nonprofits, from national entities like the National Council of La Raza and the National Committee for Responsive Philanthropy to local groups like Bread for the City and City at Peace. She has worked with grantmaker entities like the Washington Regional Association of Grantmakers and since 1996 has facilitated the meetings of the National Latino Funds Alliance. Emily assists organizations in improving multicultural capacity; for example, she worked with the Michigan Department of Community Health to implement the Culturally and Linguistically Appropriate Services (CLAS) Standards among its service providers. She also works internationally, supporting nonprofit development in places of conflict, including Israel, the former Yugoslavia, and Afghanistan. Since 1988, she has been a volunteer consultant to Shatil, the capacity-building center of the New Israel Fund (which funds groups engaged in democracy, pluralism, and tolerance). Emily has facilitated staff and Board retreats for such diverse entities as the National Council of La Raza, U.S. Committee for Refugees and Immigrants, Hispanic Scholarship Fund, and the senior managers of U.S. agencies attached to the U.S. Embassy in the Dominican Republic. Other work includes local and national program evaluations, research studies, and the development of needs assessment and evaluation models and manuals. A national expert on HIV/AIDS community planning and care, Emily assists the federal HIV/AIDS Bureaus, state and local health departments, local service providers, and planning bodies. Before starting Mosaica in 1994, Emily served for 16 years on the senior staff of the National Council of La Raza in positions including Executive Vice President and Senior Vice President for Institutional Development. She started the Policy Analysis Center, and oversaw NCLR’s education, leadership, and health components. She is a former consulting firm vice president, and her first job was with the Pittsburgh anti-poverty program. Emily is a Phi Beta Kappa graduate of Stanford University, holding a BA (1966) and MA (1967) in Communication with emphasis on professional journalism, communication research, and race and ethnic relations. Honors include the I. Pat Rios Award from the Guadalupe Center in Kansas City, Missouri (1988), the NCLR President’s Award (1989), and the Milagros Beanfield Award from Ayuda, in Washington, DC (2004). Emily is Vice Chair and Treasurer of the Fund for the Future of our Children (an inter-religious nonprofit that prepares young people to be peacemakers). She has served on many other Boards of Directors, among them the National Hispana Leadership Institute, Academy of Hope (adult education and GED program), AVODAH: The Jewish Service Corps, and Mary’s Center for Maternal and Child Care (clinic).